Voir les résultats lus par "William Conrad"
Who knew mystery better than Sir Arthur Conan Doyle? Who knew science fiction better than H. G. Wells? Who knew high adventure better than... Escape? Venture into dark forests and darker jungles for suspenseful stories of creatures and curses, trains and treasure, secrets and superstitions. Jack Webb, William Conrad, Paul Frees, Peggy Webber, John Dehner, and Gerald Mohr thrill in tales by Doyle, Wells, Robert Louis Stevenson, Roald Dahl, Stephen Vincent Benet, and more. Here are Western stories with an adult sensibility - complex tales of difficult choices and moral dilemmas played out against the backdrop of frontier America. 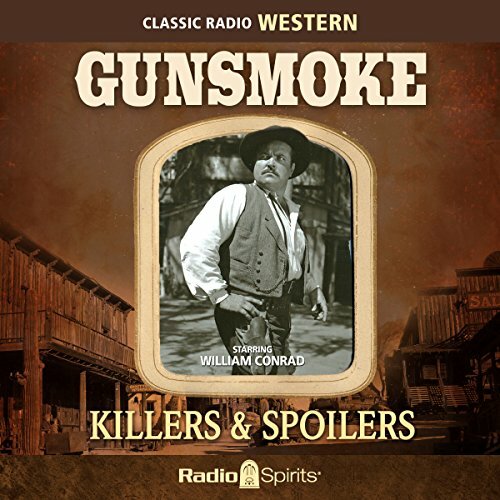 William Conrad is Marshal Matt Dillon in 20 thoughtful, exciting episodes of Gunsmoke! William Conrad stars as Dillon, with Parley Baer as Chester, Howard McNear as Doc, and Georgia Ellis as Kitty. Step inside the Long Branch Saloon for 20 digitally restored and remastered Gunsmoke episodes from 1954. From out of the murk of a terrifying night come tales of the unexplained, the unfathomable, and the uncanny! 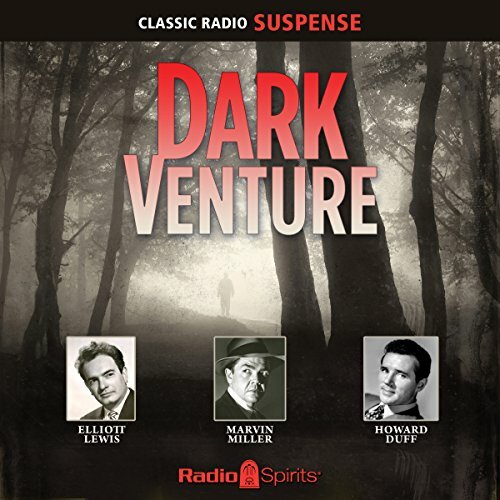 Howard Duff, William Conrad, Elliott Lewis, Jack Moyles, Marvin Miller, Lou Merrill, Betty Lou Gerson, and narrator John Lake take you on 10 radio journeys into the darkest reaches of the human soul! You're up against the wall with nowhere to turn...heart pounding, muscles tense, adrenaline pumping! 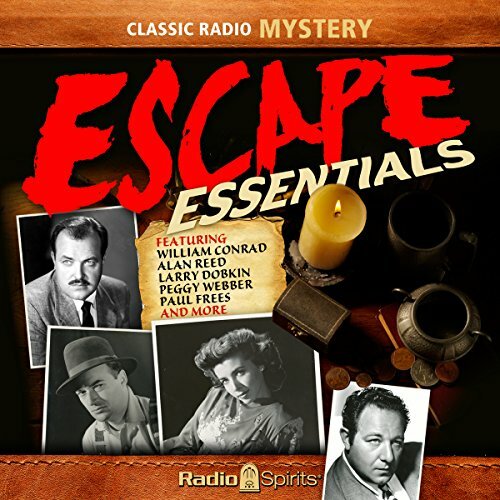 There's no escape when you're listening to... Escape! Get set for 20 seat-of-your-pants excursions into the world of high adventure! Who among us doesn't dream of a new life, a fresh start? But what happens when dreaming turns to scheming? 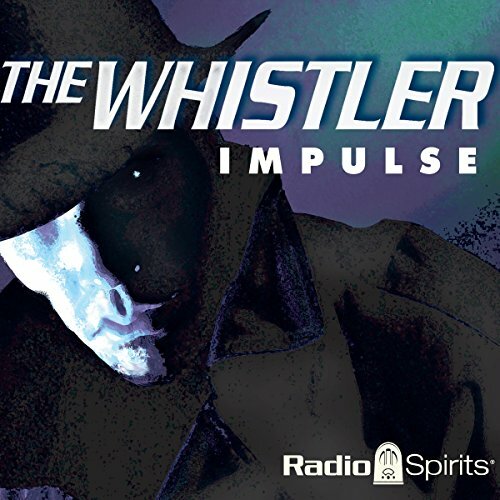 The Whistler walks by night, stalking those who no longer walk the straight and narrow - the men and women, their backs against the wall, who step into the shadows and take matters (and the lives of those who stand in their way) into their own hands. 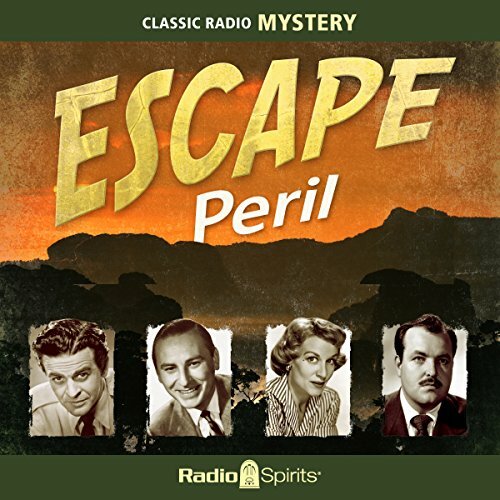 What follows from one ill-timed impulse is the suspenseful subject of the 20 digitally restored and remastered episodes in this collection. 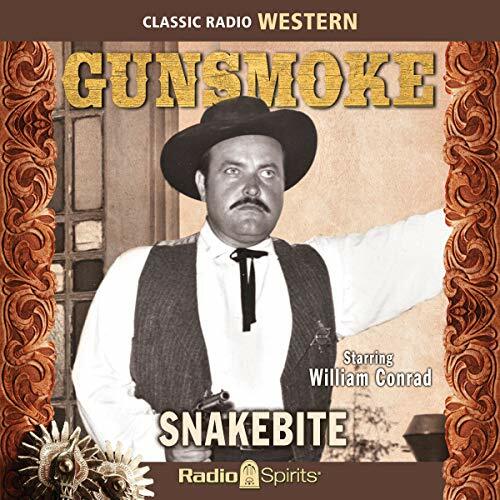 Set in Dodge City, Kansas, in the 1870s, Gunsmoke aired on CBS Radio until June 1961. William Conrad starred as U.S. Marshal Matt Dillon, and he was joined by three other regulars: Howard McNear as "Doc" Charles Adams; Georgia Ellis as Kitty Russell; and Parley Baer as Chester Proudfoot. This episode originally aired on December 12, 1953. Set in Dodge City, Kansas, in the 1870s, Gunsmoke aired on CBS Radio until June 1961. William Conrad starred as U.S. Marshal Matt Dillon, and he was joined by three other regulars: Howard McNear as "Doc" Charles Adams; Georgia Ellis as Kitty Russell; and Parley Baer as Chester Proudfoot. This episode originally aired on December 6, 1952. 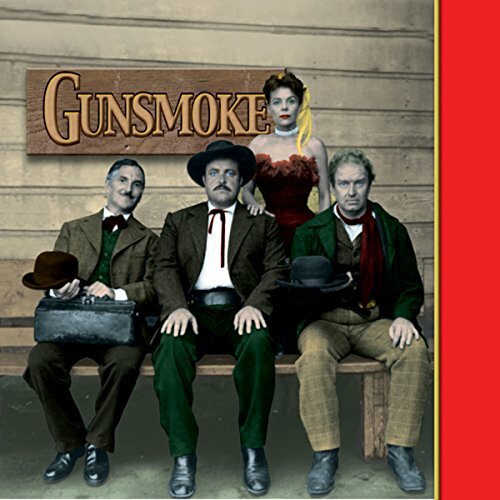 Set in Dodge City, Kansas, in the 1870s, Gunsmoke aired on CBS Radio until June 1961. William Conrad starred as U.S. Marshal Matt Dillon, and he was joined by three other regulars: Howard McNear as "Doc" Charles Adams; Georgia Ellis as Kitty Russell; and Parley Baer as Chester Proudfoot. This episode originally aired on January 3, 1953. Set in Dodge City, Kansas, in the 1870s, Gunsmoke aired on CBS Radio until June 1961. William Conrad starred as U.S. Marshal Matt Dillon, and he was joined by three other regulars: Howard McNear as "Doc" Charles Adams; Georgia Ellis as Kitty Russell; and Parley Baer as Chester Proudfoot. This episode originally aired on January 31, 1953. Set in Dodge City, Kansas, in the 1870s, Gunsmoke aired on CBS Radio until June 1961. William Conrad starred as U.S. Marshal Matt Dillon, and he was joined by three other regulars: Howard McNear as "Doc" Charles Adams; Georgia Ellis as Kitty Russell; and Parley Baer as Chester Proudfoot. This episode originally aired on December 19, 1953. Set in Dodge City, Kansas, in the 1870s, Gunsmoke aired on CBS Radio until June 1961. William Conrad starred as U.S. Marshal Matt Dillon, and he was joined by three other regulars: Howard McNear as "Doc" Charles Adams; Georgia Ellis as Kitty Russell; and Parley Baer as Chester Proudfoot. This episode originally aired on November 7, 1952. Set in Dodge City, Kansas, in the 1870s, Gunsmoke aired on CBS Radio until June 1961. William Conrad starred as U.S. Marshal Matt Dillon, and he was joined by three other regulars: Howard McNear as "Doc" Charles Adams; Georgia Ellis as Kitty Russell; and Parley Baer as Chester Proudfoot. This episode originally aired on December 27, 1952. Set in Dodge City, Kansas, in the 1870s, Gunsmoke aired on CBS Radio until June 1961. William Conrad starred as U.S. Marshal Matt Dillon, and he was joined by three other regulars: Howard McNear as "Doc" Charles Adams; Georgia Ellis as Kitty Russell; and Parley Baer as Chester Proudfoot. This episode originally aired on January 10, 1953. Set in Dodge City, Kansas, in the 1870s, Gunsmoke aired on CBS Radio until June 1961. William Conrad starred as U.S. Marshal Matt Dillon, and he was joined by three other regulars: Howard McNear as "Doc" Charles Adams; Georgia Ellis as Kitty Russell; and Parley Baer as Chester Proudfoot. This episode originally aired on January 24, 1953. Set in Dodge City, Kansas, in the 1870s, Gunsmoke aired on CBS Radio until June 1961. William Conrad starred as U.S. Marshal Matt Dillon, and he was joined by three other regulars: Howard McNear as "Doc" Charles Adams; Georgia Ellis as Kitty Russell; and Parley Baer as Chester Proudfoot. This episode originally aired on November 21, 1952. Set in Dodge City, Kansas, in the 1870s, Gunsmoke aired on CBS Radio until June 1961. William Conrad starred as U.S. Marshal Matt Dillon, and he was joined by three other regulars: Howard McNear as "Doc" Charles Adams; Georgia Ellis as Kitty Russell; and Parley Baer as Chester Proudfoot. This episode originally aired on October 31, 1952. Set in Dodge City, Kansas, in the 1870s, Gunsmoke aired on CBS Radio until June 1961. William Conrad starred as U.S. Marshal Matt Dillon, and he was joined by three other regulars: Howard McNear as "Doc" Charles Adams; Georgia Ellis as Kitty Russell; and Parley Baer as Chester Proudfoot. This episode originally aired on December 20, 1952. 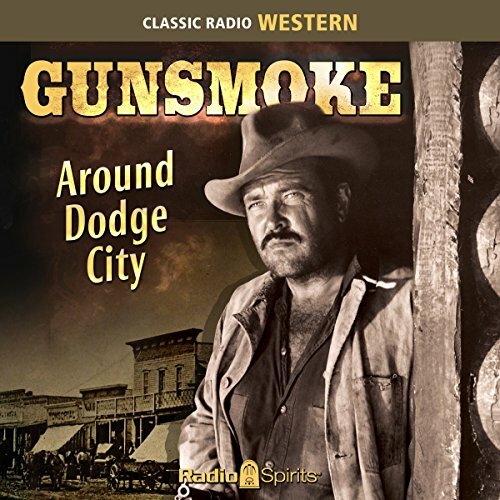 Set in Dodge City, Kansas, in the 1870s, Gunsmoke aired on CBS Radio until June 1961. William Conrad starred as U.S. Marshal Matt Dillon, and he was joined by three other regulars: Howard McNear as "Doc" Charles Adams; Georgia Ellis as Kitty Russell; and Parley Baer as Chester Proudfoot. This episode originally aired on November 29, 1952.